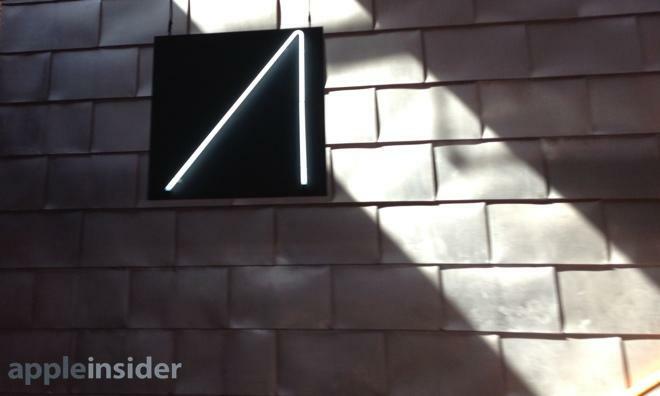 Google is taking Glass on the road, going across the U.S. to let people get their hands on its wearable device, and AppleInsider was on location at the first stop of the "Experience Tour," where enthusiasts got their first chance to see the world through Glass. Google recently named Durham, N.C. as one of the technology hubs around North America that they're supporting. Soon after that announcement, Google brought Glass on tour to give larger numbers of people direct experience with the device. 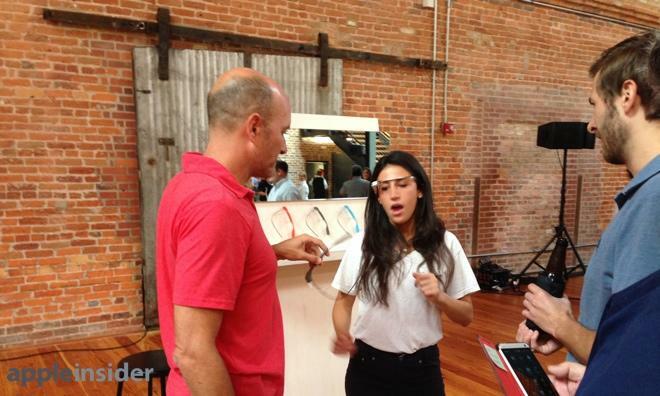 For the event held last Friday, Google had employees called Google Guides on hand to put Glass on the heads of attendees and give people outside of the Google Glass Explorer program a chance to wear the headmounted computer. 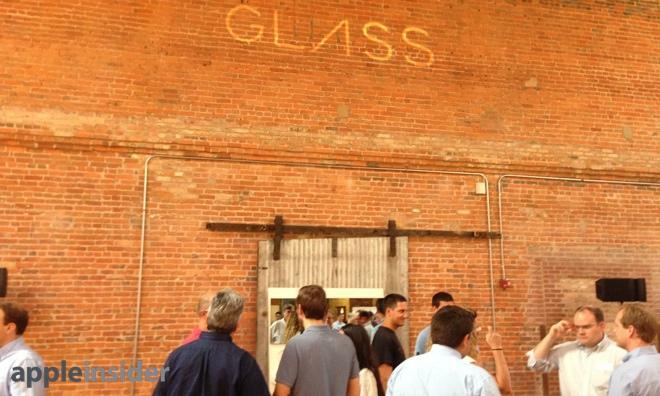 People attending were unsurprisingly curious and receptive to the idea of wearing Glass. All attendees signed a waiver permitting them to be photographed before being admitted to the event. Glass is a headmounted photo and video camera, and privacy is still one of the concerns present  it's hard for observers to discern quickly from a few feet whether they're being photographed. 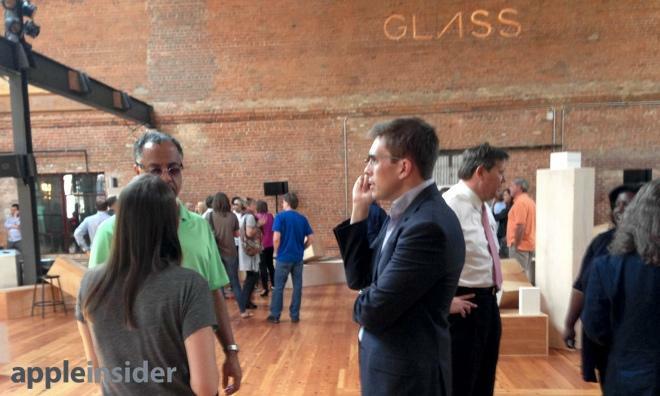 Google conducted two events in Durham: An invitation-only event on Friday, and a second event on Saturday for the general public. Attendance was high for the public event, with the Bay 7 room full and lines out the door at times. People who showed up were local entrepreneurs, local tech people. At the private event, U.S. Sen. Richard Burr and North Carolina State Sen. Dan Blue were present as well. The Google Glass guides did a good job of explaining the device as people swiped at their temples or looked up to prompt Glass to wake up its display and view items. Guides taught people how to wake glass with a look up or saying "OK, Glass", how to perform a web search, or get turn by turn directions. 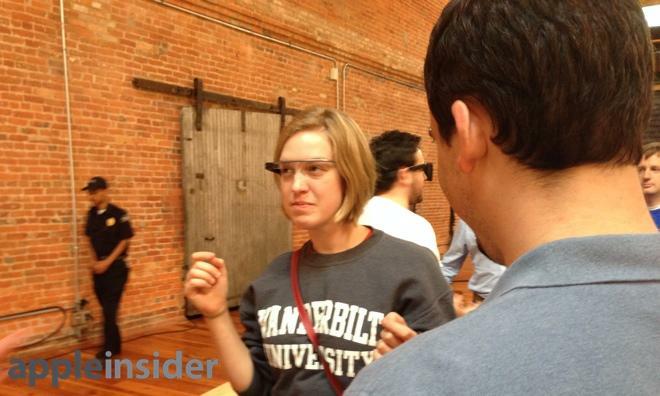 There was also a photo booth so that attendees could take a picture of themselves wearing Glass. 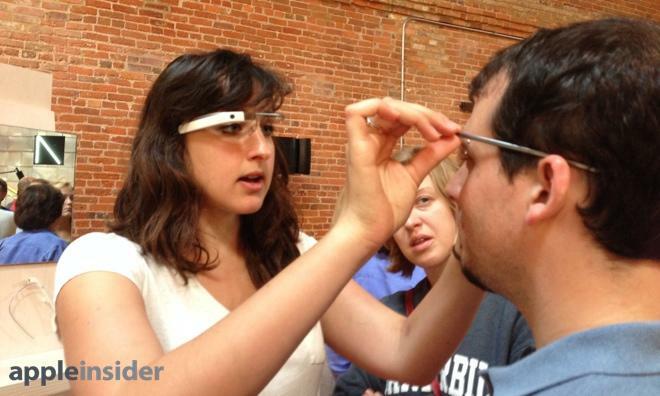 Google really believes that Glass is for everyone. In one pitch, it was said Glass would work well for wearers with conductive hearing loss, as bone conduction speaker can be heard by people with this need. Google's Guides also mentioned there would possibly be an option for prescription lenses at some point. Google provided displays showing all 5 glass colors, but Guides were carefully monitoring Glass displayers and making sure that none of the units were removed from the display, and only one person at a time had Glass on their heads. None of this changes the fact that Glass requires you to say "OK, Glass" or tilt your head up 30 degrees to activate it, or that staring slightly up instead of at the people in front of you can be disconcerting. In the past, I've only had Glass for myself, and frankly I didn't come away impressed. But thanks to Google's "Experience Tour," it was possible to see a future where people stare through each other, focusing on a display floating just above their eyes.